A musically diverse lineup will anchor the third edition of Moncton’s Mud City Meltdown festival, slated to take place from July 25 and July 30 at various venues throughout the city. 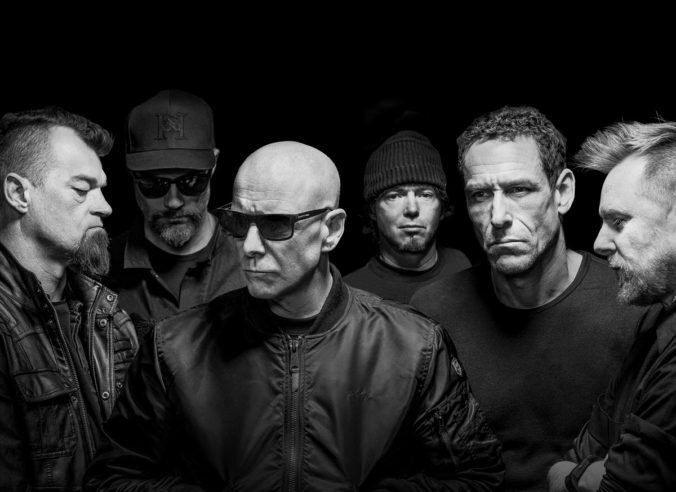 Among the big names headed to Metro for the festival are long-running Kingston rock band the Headstones, who will be playing their first show in Atlantic Canada in more than 15 years, acclaimed producer and musician Daniel Lanois, as well as Acadian favourites Les Hotesses d’Hilaire and Les Hay Babies. A number of local and regional acts, including Nova Scotia’s Like A Motorcycle, the Chris Colepaugh-led group Gold City Ashes, folk-rock artist Adyn Townes, Moncton jazz-fusion group Les Paiens, as well as a reunion of Moncton heavy metal group Iron Giant, help to round out the festival’s lineup. As Mud City Meltdown prepares to get underway in approximately two weeks time, festival coordinator Xavier Leger says one of the primary’s goals of this year’s event is to reach an even bigger audience than what the festival has done in its first two years. “Not only is this year’s festival going to be our biggest yet, we are really hoping to emphasize the whole notion that we’ve got a wide array of talent coming into the city to help celebrate summer in the Maritimes,” Leger says. Diversity has been a key to the growth of Mud City Meltdown in its first two years. Not only has it succeeded in drawing sold-out crowds for the likes of Quebec heavy metal band Voivod and Halifax’s Matt Mays, it has also made a point to offer a number of free performances, including family-friendly shows held in public parks and at the Moncton Market. It turns out it’s not just music fans that are looking forward to spending time in Moncton. Both Daniel Lanois and Headstones vocalist Hugh Dillon are looking forward to their imminent return to the Metro area. This will be Lanois’ first performance in the city since he played at the Capitol Theatre in the fall of 2014. While Lanois’ earlier solo works covered a rich, folk-inspired tapestry, his most recent studio album, Goodbye To Language, is an ambient, instrumental masterpiece that ultimately relies on a relatively minimalistic soundtrack. He notes that while almost any artist feels most partial to their most recent works, he debated whether he should be calling upon earlier material to help ensure his audience was satisfied. “Knowing how the English and French languages co-exist in Moncton, I had been contemplating whether I should plan on including some of my French-Canadian folk songs during the show, but was told by a good friend that this festival has its foot in the future, and that I should make no assumptions whatsoever when it comes to my performance,” Lanois says. For the Headstones, the time since they last played Moncton has been significantly longer than Lanois – it’s been the better part of a decade and a half. Although the group spent almost a decade on hiatus, ultimately reconvening in 2011, they have a new record in tow – Little Army – that they are anxious to bring to their Moncton fans.